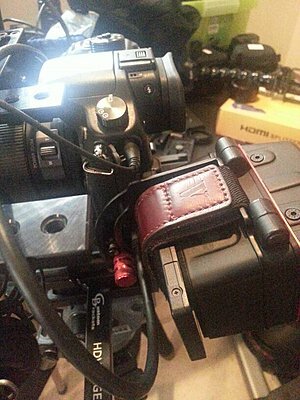 Has anyone found a gh3 or Gh4 viewfinder extension? The EVF Is good - it'd be great to have an upward facing extension that also had a bigger eyecup. 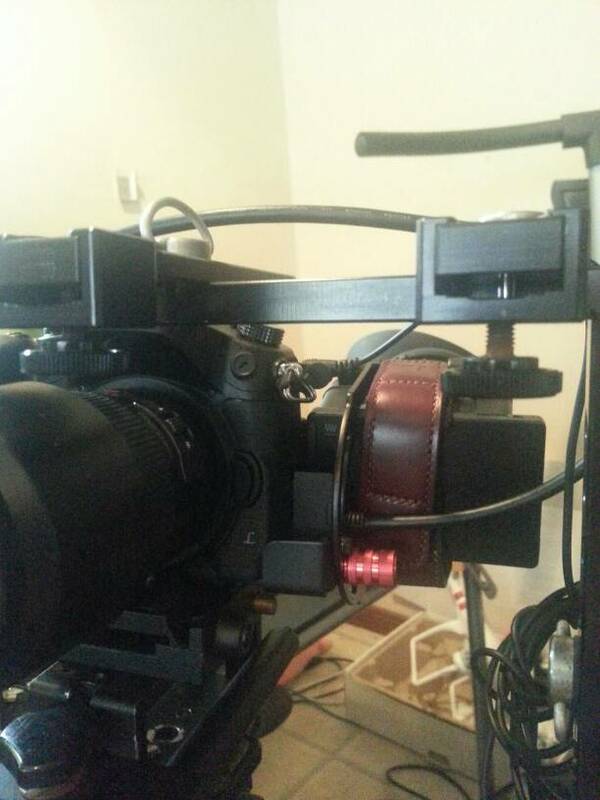 I know the Zacuto could be stuck to the LCD but don't fancy that. I was looking at this or if I could find a Varavon gh3 will work but cant find them. Varavon made a great viewfinder loupe for the GH3 but it seems to have disappeared from their web site. They make other viewfinder accessories that may work. Varavon doesn't make the GH3 loupe anymore. I tried the Carry speed VF-4 which I THINK is just a rebranding of the XP Photogear. Its too big to work if you're mounting the camera directly to the tripod plate. Some kind of spacer required and then you will need to find a way (tape would probably work) to block the light leak at the bottom. This version is made for MFT cameras, the other one featured on PNC is for DSLRs including larger ones like the 5D MkII/III. Be sure to watch the video to see how it works. Too bad about Varavon. The GH3 loupe could swivel up as opposed to the stuck to back viewfinders like the Zacuto Zacuto's First Look: The Panasonic GH4 | Zacuto USA. The other Varavon accessories are attached to the back as well but some have a top door so you can peer in from above. Not ideal at all. I was able to get the GH2 version of the Varavon to work pretty good on my GH3. I did have to make a small mod (add a new 1/4 hole) in the mounting plate. As it was the Viewfinder cutoff the OLED on the right side just a bit. And of course the Varavon renders pretty much useless the headphone jack and the HDMI out for sure. It is kinda cheap in many ways ....the diopter adjustment is a joke...and the positions tightening knob needs to slip a bit better maybe a nylon washer would do the trick...but that being said I have enjoyed using it. Last edited by Paul Mailath; June 9th, 2014 at 10:24 PM. Cheers for gh2 model info - Varavon confirm to me the gh3 / gh4 is discontinued. I just filmed a two camera interview yesterday with my GH2 and GH3 and I was thinking of this thread while standing over the two cameras which were set at chair height. The Varavon loupes were perfect as I could look down at the images but also flip the diopter on to check focus. This would have been highly uncomfortable with the other viewfinder extensions available and I would have had to been seated to operate both cameras. Even with the diopter flipped open, the shade offered by the loupes are always a big help. The interview lasted 75 minutes. I am going to contact Varavon to send a suggestion that they should reconsider. The GH4 is generating a lot of interest so they might have some sales opportunites that perhaps the GH3 wasn't getting them. Also I stored the GH2 loupe improperly after a shoot and the eyepiece is loose, hopefully they have some replacement parts. I use the Vavaron Loupe on my GH3 and although some of the build quality is questionable the ability to adjust the angle is fantastic and I love using it, they really need to manufacture it again.